Kapil Khankriyal did Political Honours from Delhi College of Arts & Commerce. After that, he started his own IT Company and worked there for several years. 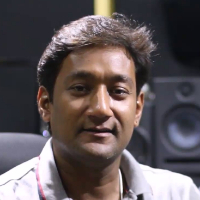 In 2015, he switched his business and started an audio video production house by the name of Studio Underground. Since then he is running that studio. The terms audio and video commonly refers to the time-based media storage format for sound/music and moving pictures information. Video production is the process of producing video content. It is the equivalent of filmmaking, but with images recorded digitally instead of on film stock. "After completing my education, I started my own IT Company and worked there for several years and later in 2015, I started a studio company by the name of Studio Underground. Studio Underground is an audio video production house."